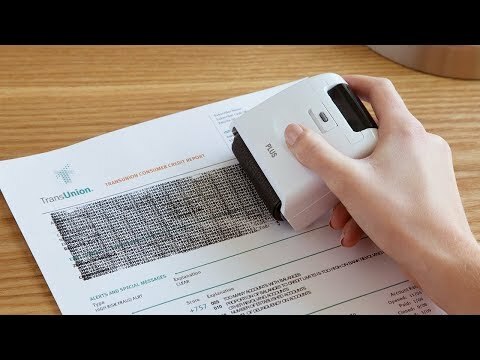 With identity theft protection stamps from Guard Your ID handy, it’s quick and easy to ensure your private information stays safe. 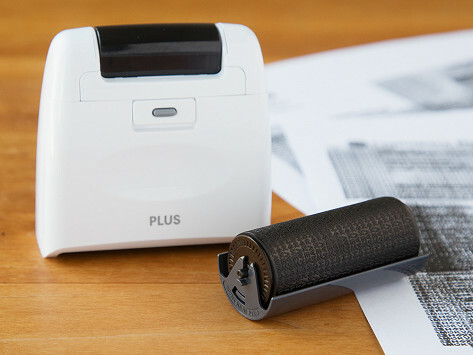 This wide roller delivers an encrypted pattern in oil-based ink that penetrates paper, leaving text like your name and address unreadable on both sides of non-glossy paper. Use it on documents like bank statements, bills, and mail. Dimensions: 3" x 1.5" x 2.94"
My daughter loves this...it eradicates names and addresses on paperwork and is re-fillable. Instead of having to shred so many documents I can just roll over my information and throw the document away!